The Holidays are the perfect time to entertain family & friends in your home. Now, before you begin hyperventilating at the thought of preparing for an elaborate event in your home, you need to stop & consider entertaining the Simple Joy way! Hosting a party in your home doesn't need to be elaborate, elegant or expensive. It can be as simple as having a few people in for soup & sandwiches while you decorate your Christmas tree! The problem with entertaining these days is the ... See More misconception that it must be some over-the-top production guaranteed to WOW your guests. WRONG-WRONG-WRONG!!! Entertaining in your home is all about your guests. It's about enjoying a wonderful time with people you like & love. AND, it's all about reducing your stress! Remember, the first rule of entertain the Simple Joy way is ATTEND YOUR OWN PARTY! No one is going to have fun if you aren't having fun so you need to be the #1 guest at all your events. 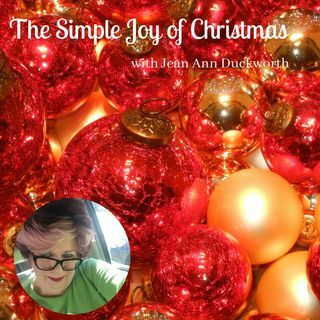 To help you put the JOY back into entertaining this Christmas, Jean Ann Duckworth offers 5 different types of parties that you can host during the Holidays. They are easy to plan, easy to prepare & fun to host!